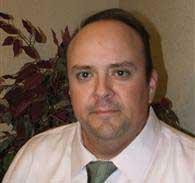 Mr. Rodriguez attended McMurry University in Abilene, Texas where he obtained a Bachelor of Arts degree with a double major in English/Writing and History as well as a minor in Political Science in 1999. Upon completion of his degree Mr. Rodriguez attended Texas Tech University School of Law. While at Texas Tech, Mr. Rodriguez did take advantage of a study abroad program for which he lived in Guanajuato, Mexico for the summer studying Mexican Business Law and NAFTA. Upon completion of the requirements for the degree, Mr. Rodriguez was awarded his Doctorate of Jurisprudence in 2003. He likewise took and passed the Texas State Bar the same year. Since being licensed Mr. Rodriguez has been his firm's managing attorney in Lubbock office. Likewise, Mr. Rodriguez and his firm have recently opened an office in Abilene for which Mr. Rodriguez is the managing attorney as well. Mister Rodriguez has represented Claimant's in the Amarillo, Lubbock, Midland, Abilene, San Angelo, San Antonio and Fort Worth field offices of the Texas Department of Insurance-Division of Workers' Compensation (formerly the Texas Workers' Compensation Commission). He has represented Claimants in other states such as Ohio, Arizona, Colorado, New Mexico, Oklahoma and Louisianna, who required assistance with their Texas Workers' Compensation claims. Mister Rodriguez has represented Claimants before all levels of the Texas Department of Insurance-Division of Workers' Compensation resolving both medical and indemnity benefit issues, County and District courts of the state, State Appellate courts, and Federal District Courts. Mister Rodriguez has focused most of his legal work on Texas Workers' Compensation claims; however, he and his firm provide services for a multitude of issues and also specialize in representing persons who were injured due to the negligence of another party; including but not limited to automobile accidents, slip and falls, and products liabilities. In addition, the firm excels at resolving the complex issues which will arise when a client has both a Workers' Compensation claim as well as a third party claim/lawsuit against a negligent party. Mister Rodriguez has been selected to speak on Workers' Compensation issues, and most recently has been asked to speak at a State Bar of Texas continuing legal education seminar on Workers' Compensation issues. Mister Rodriguez resides in Lubbock with his wife and two children, is an avid reader, published historian, and outdoorsman who enjoys the shooting sports.